Discover the clarity, quality and brightness that make Epson the world leader in projectors. Whether you’re a home or business user, there’s an Epson projector to make the most of your film, games, presentations and more. 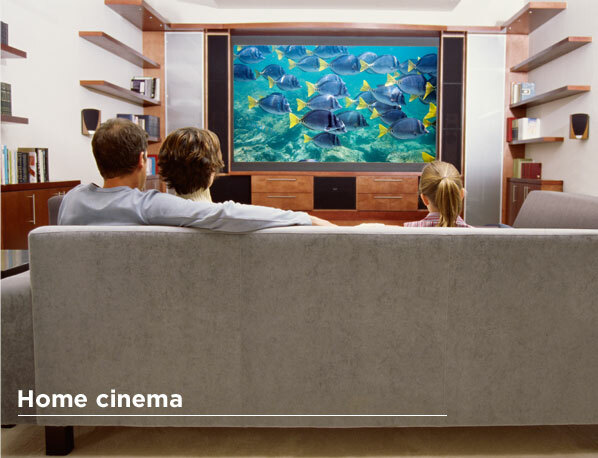 Epson sell more projectors than anyone, and it’s their focus on brightness and technology that make them great for both professional and home cinema use. Epson invented 3LCD technology. 3LCD projectors produce brighter colours with clearer distinction between them, which improves the picture quality dramatically over regular projectors. Unlike other manufacturers, Epson measures the Colour Light Output rather than just the white light. A high CLO means every colour is brightly displayed rather than washed out and pale, which is great for films, presentations and images. 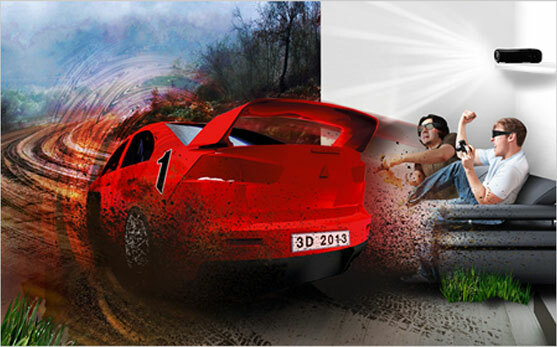 If you’re a gamer, film fan or love sport, a 3D projector puts you into the action like never before. Epson projectors use Active 3D, which gives you the deepest and most immersive 3D experience possible. Whether you’re watching on a dedicated screen or projecting onto an entire wall, Epson projectors fill your space with high quality media. From standard TV size to over 300”, you can enjoy your media at the perfect size for you. 3LCD technology prevents images from suffering with the ‘rainbow effect’, which is an annoying break up in colour that causes moving images to leave a trail of red, blue and green behind it. This occurs on non-3LCD projectors during scenes with fast movement, so can really affect your film or gaming experience. 3LCD creates images using three individual colour panels, making it impossible for the rainbow effect to occur. You also get darker blacks, brighter whites and smoother transitions and colour blending for a beautifully rich and detailed image. Unlike other brands, Epson focuses on the colour brightness of their projectors rather than just the white. A high colour brightness gives you more vibrant images along with deeper blacks, brighter whites and realistic skin tones. This makes sure you get natural colour reproduction and the high detail you need to enjoy today’s HD media. *compared to leading 1-chip DLP home entertainment projectors. 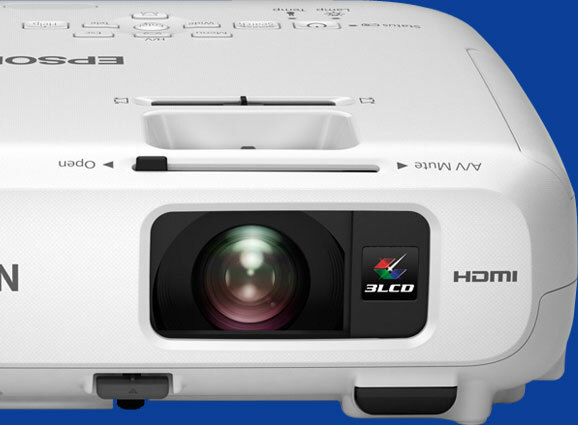 Epson 720p projectors are three times brighter. Epson 1080p projectors are consistently two and up to three times brighter. Based on NPD data. July 2011 through June 2012. Colour brightness (Colour Light Output) measured in accordance with IDMS 15.4. Colour brightness will vary depending on usage conditions.